Let's be honest. 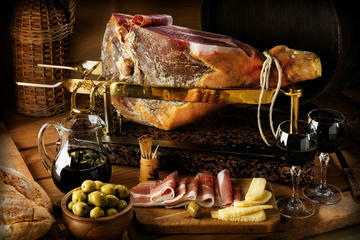 One of the main reasons to visit Italy is The Food! And why not? After all, experiencing local food is a great way to immerse yourself in the culture and tradition of a village, city, or country. But sometimes travelers fall victim to touristy spots promising authentic dining experiences. This is especially true in highly touristed cities like Rome. Don't let that happen to you, my friend! Use this list of authentic places to eat in Rome to help avoid generic and find genuine Roman meals at fair prices. 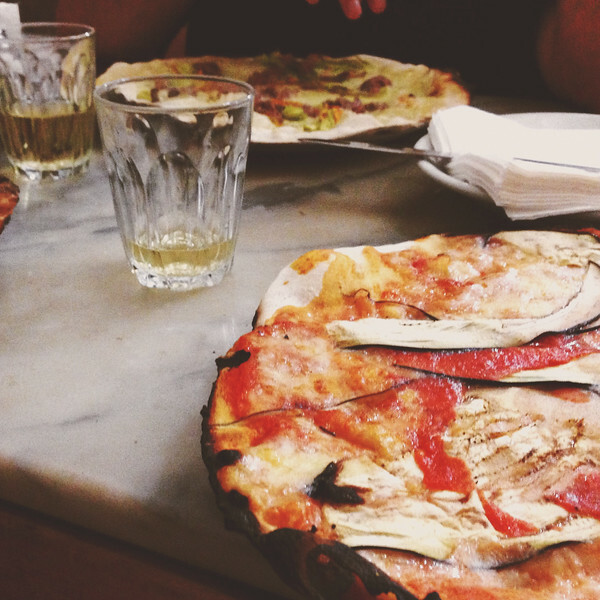 Finding an authentic meal in Rome requires travelers to take a few precautions. The city is filled with restaurants that look authentic but offer less-than-stellar food. You know the ones I'm talking about. The cute little spots with waitstaff who practically drag you inside, luring you with the promise of good food. You're tired, hungry, and haven't done your research. So, you sit down expecting a delicious meal. You're handed a laminated menu filled with photos and written completely in English. Reluctantly, you order what you think a Roman would eat. In the end, you've wasted your time (and maybe your money) on a meal that is far from authentic. Well, my friends, I'm here to help make sure this doesn't happen to you on your next visit to Rome. Tip 1: Get off the Beaten Path! Most of the spots on this list are outside the central city, meaning you may need to rely on public transportation or taxi to get there if your feet are tired after a long day of sightseeing. I promise the effort will be worth it! If you do choose to take public transport, you should know that tickets for buses and subways must be purchased in advance. You can get tickets at any news stand or tobacco shop throughout the city. Up first is a quiet little spot perfect for lunch or dinner. Ristorante Cantina Cantarini is just about as authentic as it gets. Diners are greeted by an elderly gentleman you later learn is the owner/operator. The menu features local favorites as well as traditional Italian dishes, including some of the best ravioli I've ever eaten. Pay attention to the seasonal specials, as produce and game is locally sourced and best when in season. And while it may seem out of the way, this cozy spot is within walk distance (10-20 minutes) from some of the most famous attractions in Rome: Galleria Borghese, Piazza della Reppublica, Baths of Diocletian, Triton Fountain, Santa Maria Maggiore, and the Spanish Steps. 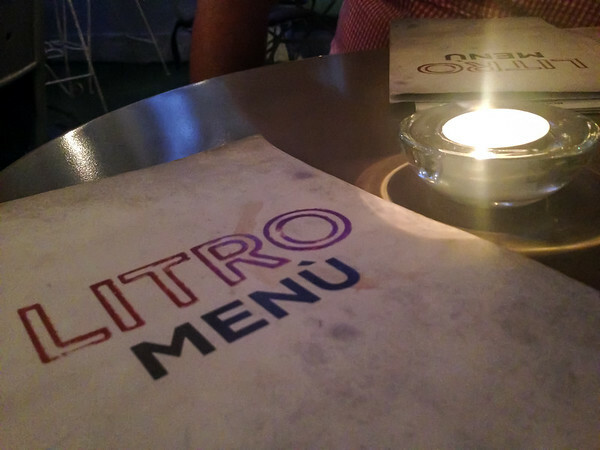 Head to Monteverde for amazing views of the city below and unforgettable dining experience at Litro, a popular locals-only spot. Situated atop the steep hills of the Janiculum, this trendy cocktail bar and restaurant serves small plates to accompany a fine selection of wines and cocktails. While you may not find your fill of pasta here, you'll find yourself in good company. 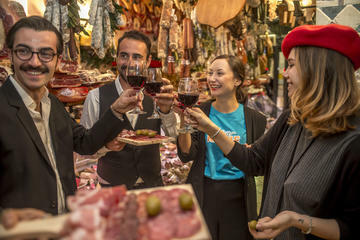 Tables full of chic Romans enjoying spirits and antipasti make this spot ideal for those looking to get a taste of local nightlife. For those willing to traverse uncharted territory, consider hailing a taxi to San Lorenzo, a predominately student neighborhood east of the Centro Storico. Find yourself standing outside number 1, Via dei Falisci at da Franco ar Vicoletto. And while it may seem like a hole in the wall, this place is a seafood lovers paradise. The menu features made to order dishes for those who want or need a little more control over their dining experience. If not, simply say yes when asked "facciamo noi? ", which simply means should we sort it out? Dish after dish of delicious seafood will then pour forth from the kitchen, leaving you with a full belly and a satiated grin. Wash it all down with the house white wine for an authentic Roman experience. Pro Tip: Be sure to arrive before 8pm, as the place will quickly fill up with locals looking to feed their seafood needs. Tip 2: Go Where Locals Go! 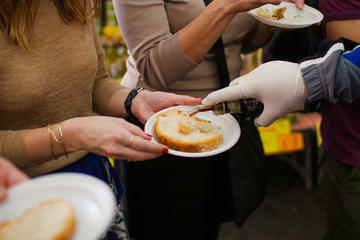 Italians, in general, are particular about their dining experiences. Food is serious business. It's been said that Romans live to eat rather than eat to live. And, after eating at some of the most authentic places to eat in Rome, I can understand why they feel this way. Real Roman meals are simple, yet artistic. And Romans know how to sort through the tourist traps to find the best spots to eat! For an authentic Roman pizza experience, head west over the Tiber to Trastevere to Ai Marmi, named for the marble-topped tables or "the marbles". 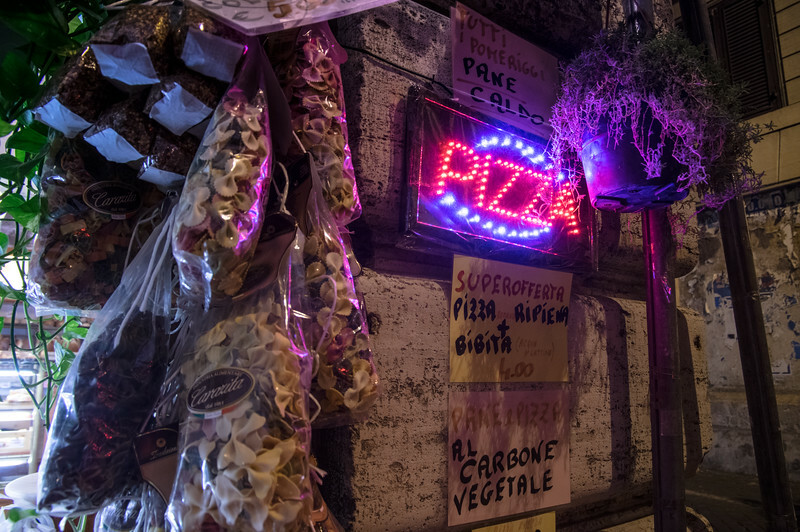 This small by mighty pizzeria is located on Viale Trastevere just south of Piazza Sidney Sonnino. Locals flock to this spot for affordable and authentic pizzas and appetizers such as suppli' (deep-fried rice balls) or fiori di zucche (fried zucchini flowers with an anchovy inside). The eggplant pizza is especially delicious, but you simply can't go wrong with anything on the menu. Even though seating is available both inside and out, it can still get a bit crowded. So, be prepared to pounce if a table comes available. All in all, the crowds and noise all lend authenticity to the experience. If you're like me, you get hungry after a long day of exploring ancient ruins like the Colosseum and the Forum. Enterprising restaurateurs bank on that, and have conveniently set up shop near some of the most popular attractions laying in wait for unsuspecting tourists. Resist the urge to settle into a cozy chair beneath the breezy awning while waiting for a lackluster prix fix meal. Instead walk a few short blocks to Made in Sud, a well-priced, authentic pizzeria specializing in Southern Italian pizza and sandwiches. It's perfectly situated for those with enough stamina to continue on their sightseeing adventure, being only steps away from Basilica San Clemente as Laterno. 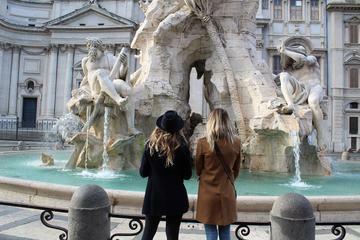 Shopping in Monti was one of my favorite experiences in Rome. Another was happening on to the most delicious porchetta di ariccia counter at via della madonna dei monti 67. 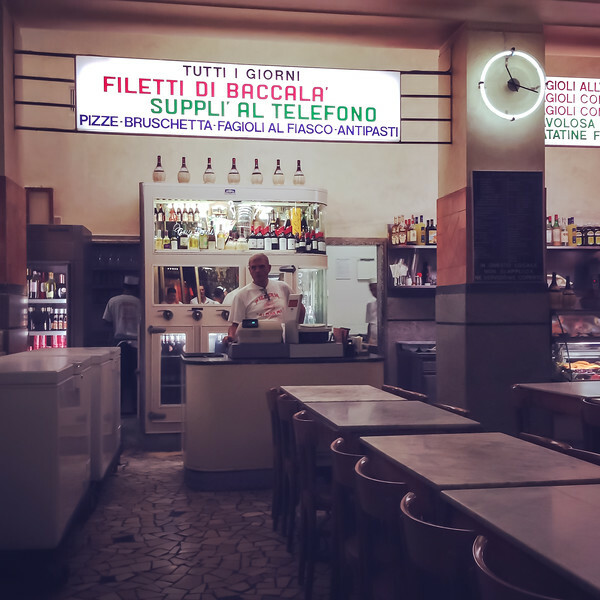 Pull up a stool for a refreshing beer and porchetta panini at what must surely be one of the most locals-only spot in Rome. Their roast pork sandwiches are amazingly tender and succulent. A few euro later, you're ready to shop til you drop in the racks of nearby vintage shops. It's also perfect for those just finishing the Forum as it's only a few blocks from the north end of the famous Roman attraction. Tip 3: Flavor is a Serious Matter! Seriously, though. Everything tastes better in Rome. Probably because only the best ingredients make the cut in Roman dishes. So, it's no surprise that even the most simple recipes can knock your socks off! And the same can be said for coffee, wine, and desserts in Rome. When you find an authentic places to eat in Rome, you can forego the extras like whip cream, sprinkles, fancy creamers, etc. Gelato lovers rejoice! I've not forgotten that you deserve a place to feed the need for the deliciously creamy Italian ice cream. 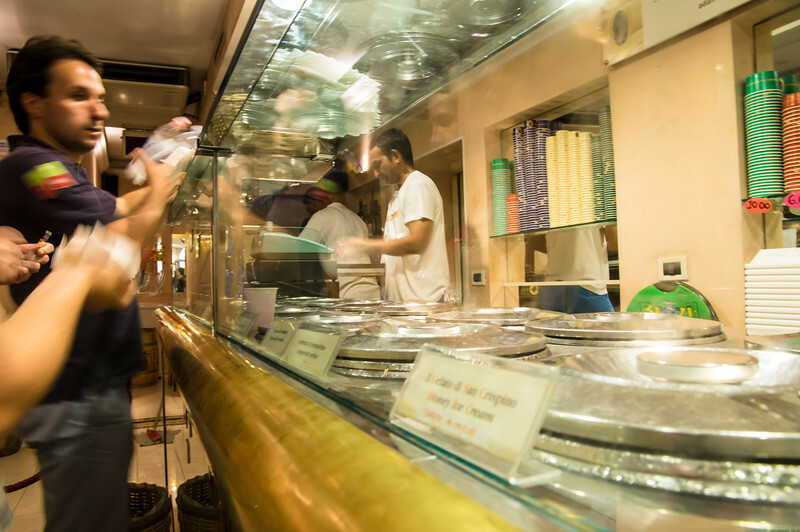 By far the best place for authentic artisan gelato has to be San Crispino, a local chain of gelaterias. With locations near the Pantheon, the Trevi Fountain, and the Via Appia, you're sure to get your fill of seasonal flavors and sweet cream. Drinking coffee in Italy is serious business. Stories have been written all about the proper way to consume coffee, beginning and ending with the need for a proper cup of rich, dark espresso. 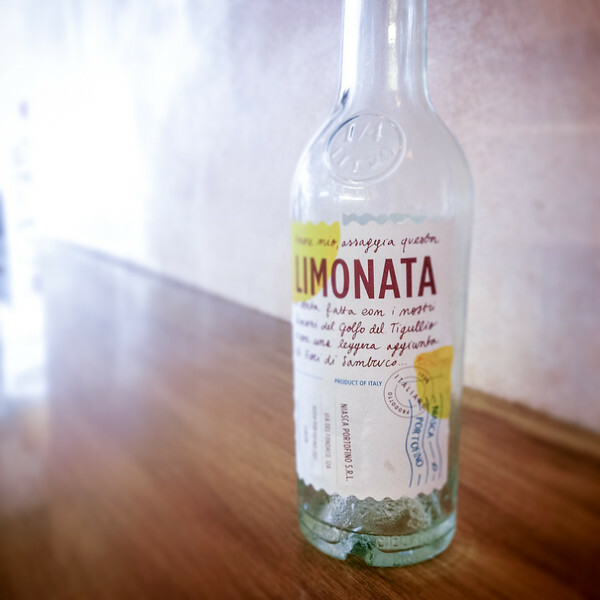 For an authentically Italian cup of Joe, head over to either Caffe Sant'Eustacchio or Tazza d'Oro. Both cafes are located around the corner from the Pantheon and serve coffee in the traditional Italian way. Proceed in this order: enter the cafe, approach the cashier, order a single "caffe", pay the server, proceed to the bar, present your receipt to the barista, receive your cup of coffee and a small glass of water, drink the water first, then consume your coffee. 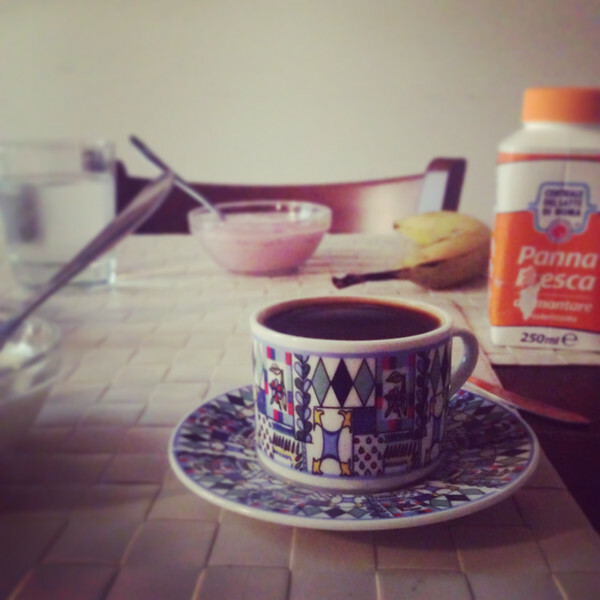 or simply make your own Italian coffee in your vacation rental! check out these cute apartments for rent in Roma! Only the best of the best will do when it comes to ingredients in Roman dishes. Most menus are highly seasonal, taking advantage of the bright flavors of in-season vegetables and freshly-caught fish. Look for places with changing menus (no lamination required) to find an authentic Roman dining experience you'll never forget. Unlike Litro, Osteria Tutto Qua is more of a family establishment but chic nonetheless. It may feel trendy at first, but the plates and portions have a rustic quality that can't be beaten. The menu features several varieties of homemade pasta accompanied by a large selection of vegetarian dishes, locally-sourced seafood, and more. But the amazing food isn't the only reason to venture up to Monteverde to Tutto Qua. The vast collection of Italian wines available here is out of this world. And the wise, all-knowing sommelier can surely help you find something to suit even the pickiest of palates. This neighborhood trattoria is causal enough for weary travelers but elegant enough to require a fresh change of clothes. 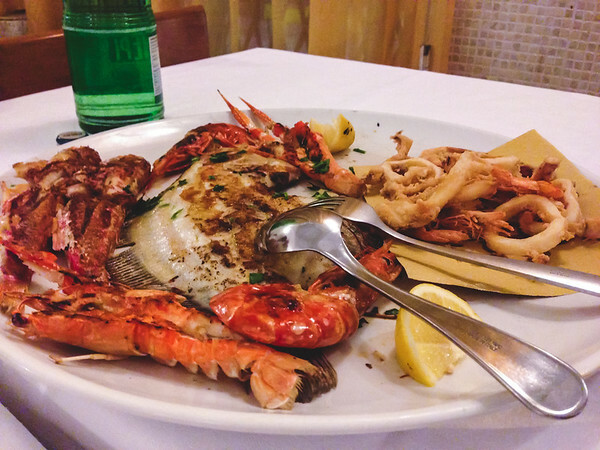 For those looking for a casual trattoria in the Centro Storico, look no further than Alfredo e Ada. Located just a few blocks from some of the most famous Roman attractions, this spot oozes authenticity. With a varied daily menu, the restaurant specializes in authentic Roman dishes done well and cheaply. Owned and operated by an elderly Roman couple, it's the perfect place for a quiet, romantic meal. For those looking to dress up for a change, venture up to Monteverde for an elegant meal at Antico Arco. The priciest place on this list, Antico Arco offers diners a choice between a prix fix tasting menu (80 euro) or a la carte options (15-30 euro). Reservations are required, so plan ahead.